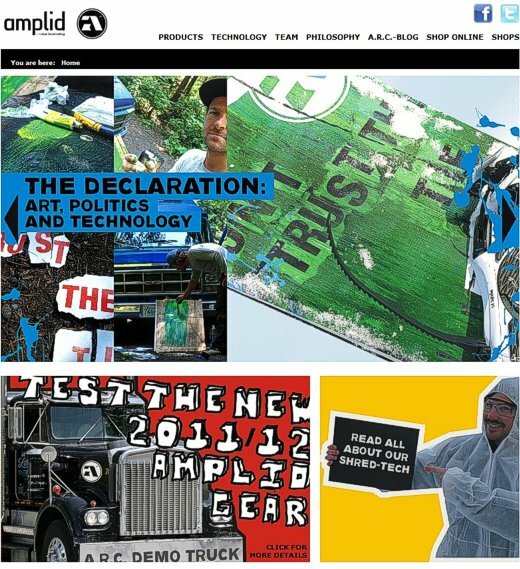 For months the Amplid Research Cartel has been held-up in Amplid’s laboratories bashing buttons, throwing levers and busying itself with creating the ultimate website to showcase Amplid’s 2011/12 gear. Finally last night at 01:00 hours, after several attempts, a huge pulse of electric current was fed into the Amplid supercomputer and the site coughed and spluttered into action : : : next level browsing is alive! For the coming season we’ve made tons of tweaks to Amplid.com, so checking the blog to see what your favorite rider is up to or flicking through our products pages to find your perfect ride is a breeze. Also Amplid.com is now completely Flash free, meaning browsing the site on iPads and smart phones has never been easier or quicker. In the run-up to and during the season the Amplid blog will be updated daily with team news, exclusive interviews, music and art from Amplid’s extended Cartel family and mind-blowing videos of next level riding.